Could anybody help me get this tool? The link in the original post is no longer available. I have the same problem, already asked but no answer was taken. 4/ Then open file "HS_SlotID.exe", in the directory bar it should appear "...\Honey Select\abdata\list\characustom"
Last edited by The Black One; 11-05-2018, 11:35 PM. Hello, for unknown reason your HS_SlotID can not find any list in my game data, even I have pointed out the direction to abdata/list/characustom/. The address bar always requires "Folder where HoneySelect.exe is located". This is really disturbing. Edit: I have MoreSlotID mod installed in this game, does that have something to do with your mod? Last edited by The Black One; 11-05-2018, 11:37 PM. Anyone else having a problem with 00.unity3d claiming every free slot you try to use? i think i upped it right, i have no idea! uh time for a dumb question, when you guys fix the item slot numbers how do we change it in the game file itself, is there some process to load that altered list into the inventory for the game to correct it? ok this prog might just save my brain augh i have so many conflicts i got hair loading in ear spots, i got items not loading, or loding the wrong textures, im losing skins in H Mode and so much else -.- siighhh im gonna up my list and hope for help, because there are many red boxes, this progarm would be amazing if there was a auto slot mode similar to the more items ID where it just runs and calculates the next best spot. but wow so useful! Hello! This software you created is very convenient and saved. Thank you very much! It is a question, I want to change Slot Type of MOD in translation. (For example, change Slot Type of Gloves to Underwear) However, only Slot ID can be changed with this software. How can I change Slot Type? Please tell me if you know. Thank you. Not sure why but its telling me to put the ID exe. in the same folder as my HS exe when it already is, but wont generate a list for me on the left like it says its supposed to. Hi DillDoe, I have a suggestions to make changing Slot IDs much faster with your program. HS_SlotID already gives users the ability to select/highlight more than one mod block at a time but doesn't allow us to do anything with them. What if we could use this to manually drag and drop these blocks to other areas of the map? Instead of wasting 10 minutes going between the map and list tab for each set of mods we could easily drag entire conflicted sectors to empty blocks within seconds. This would help greatly with tattoo mods that tend to usually add up to over two hundred conflicted IDs at a time. Adding this feature would completely eliminate all time consumption with changing IDs for the foreseeable future. Last edited by NBV; 11-02-2017, 09:37 PM. fell free to delete if this gonna break the rule AGAIN....and sorry for the trouble! Either use links to their release posts or pack only the list files and upload them for inspection. I see that you put much work into resolving conflicts and also that you upload and provide mirrors to original mods. Thanks for this, but please keep our club rules for redistribution. the problem is=>the program cannot open it! after i click on it a window appear with an error for something related to a framework exception..... for some misterious reason!? 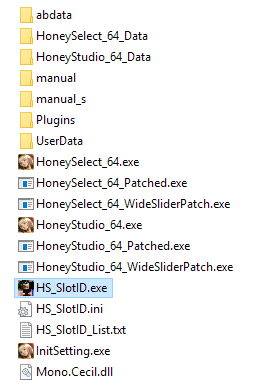 btw i can open the file with sb3ugs normally i can also save it without problem so why only these 2 files of all my mod collection have these!? p.s. have you planned something to add the moreslot ID compatibility or at least add a feature than ignore their conflict with the 9 digit slots number!? Last edited by enimaroah; 10-27-2017, 01:53 AM. no harm done :-) You can edit your post in that way yourself.